Cloud accounting software is a software using web-based application and mobile apps to keep the accounting books online. Excellent choice for small to medium business as it operates like any accounting software, except that user's accounting data is secured, encrypted and backup online. Why do we need cloud accounting software? Most computer-based accounting software generally can issue purchase orders, invoices, and receipts, and run customized reports. However, if the accounting software is limited to the office, then the accounting chores will be held until the user is back in the office. What if the salesperson said ‘I will issue the invoices when I get back to the office.’ And it’s already passed working hours. Those invoices will have to wait till tomorrow or even next week; TGIF. What if the urgent purchase order is still pending approval when the manager is stuck in some important meeting and is scheduled for a business trip after the meeting. What if the boss wants to get an email on a financial report and is meeting a potential investor outside the office, where there is nobody in the office to pull the report. If there is an efficiency issue in operation, how can there be business growth? Would it be good if the business can do bookkeeping on the go, like issuing invoices, post-invoices or receipts on the spot, tracking expenses and receivables anytime anywhere or checking the inventory outside the office or after working hours? The manager can approve an urgent purchase order even during vacation and the boss can pull a pre-customized financial report with his tablet outside the office. Cloud accounting software will greatly increase efficiency in operation, and most accounting tasks can be conducted in 24/7 in any part of the world. Start-ups or small businesses with only one person or a few staff will benefit more from these. No backup server needed for accounting software or book as everything are stored in the cloud. Very much less setup cost for cloud accounting software compares to the latter. No worry about computer or server crash. No fire, water, and any undesired hazard will kill your accounting book in the cloud. No data migration needed for device replacement. All accounting chores can be done inside or outside the office. Invoices and POs can email or view directly from the online system. Fresh financial reports can be generated on the go. How can cloud accounting software further support businesses? In the end, accounting book is tracking where the money comes and goes, helping the business to make money decisions. If the data in the accounting book is wrong, how can the decision maker make the right decision? That is why most businesses fail or fail to grow. They always thought if they take care of their business, their accounting book would line up by itself. In fact, accounting book can show vital signs of their business like what products and services make more money, did their advertising projects do good ROI (Return on Investment), how many of their customers are due for payment, and other signs. Taking an example for knowing what products make more money, the decision maker can decide on whether they should advertise more on the high revenue products, do promotions on slow-moving products, do better inventory control, or other strategies to improve their business overall. Cloud accounting software must be able to generate useful data and customize the report as and when needed for the decision maker, with or without their accountants around. Cloud accounting software, why do you want to buy it from us? True enough, there is a lot of self-help in setup and usage tutorial for cloud accounting software. However, the learning curve for individuals differs. 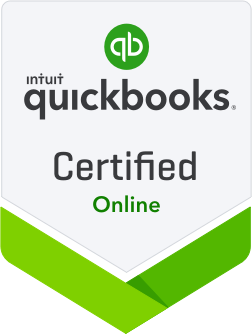 With 30 days free trial, many people have to learn new things like the accounting terms and bookkeeping concept, or fumble with the new software settings and configurations. It is always good to learn new stuff, but some people just do not have the time. They want a quick start and go. They have more things to do like running and growing the business than questioning back and fro with a helpdesk ticket. Some worn out after messing up with the software and did not get to see the true benefits, they eventually quit after the trial. Some got stuck from the beginning and gave up in the end. With such affordable price, some even thought cheap stuff is no good, but it is not true as cloud accounting software has been used by certified public accountants and bookkeepers in many countries including Singapore. Cloud accounting software is naturally designed for accounting professionals and simplified for business users. The software provider normally uses a helpdesk team to support their customers, but not everybody needs help on software usage. Some needs professional advise to set up their books properly for their industries need. Cloud accounting software providers work out a partner program for accountants or bookkeepers like us to better support entities that use online accounting software for their accounting books. 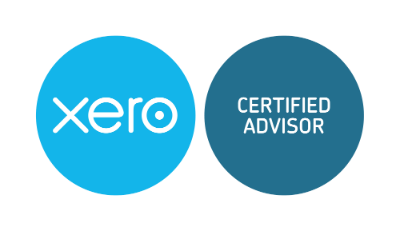 As both certified QBO Proadvisor and Xero Advisor with multiple industries experience, we are able to set up your accounting book quickly in either cloud accounting software if you signed up with us. We provide affordable cloud accounting services to support your transition onto the cloud accounting software, and your business or entity accounting needs.